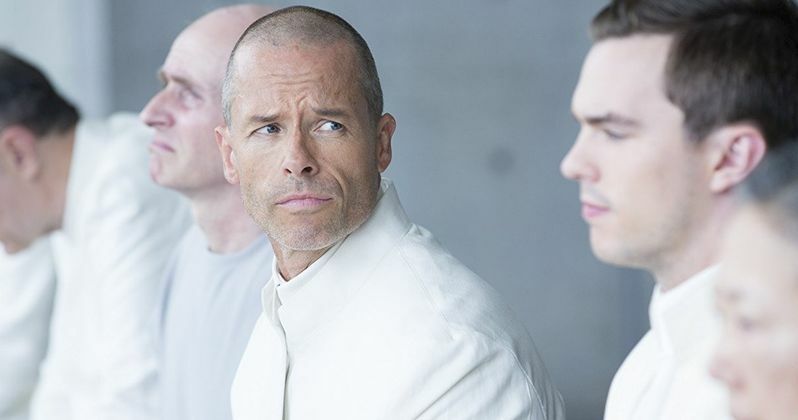 Guy Pearce has signed on to join Kristen Stewart and Nicholas Hoult in the sci-fi drama Equals, which was one of the hot projects being shopped to international buyers by Mr. Smith at Cannes last month. We first reported on the project back in October, when Kristen Stewart and Nicholas Hoult signed on to star. The story, written by Nathan Parker (Moon), is set in a world where all emotions have been eradicated, with a new breed of humans being created called Equals. A disease begins to spread which reactivates human emotions, with the infected being sent away, never to be seen again. The story centers on Silas (Nicholas Hoult), who becomes an outcast when he is infected, until he meets a young woman named Nia (Kristen Stewart), who has the rare ability to mask her emotions. No details were given for Guy Pearce's role. Drake Doremus (Like Crazy, Breathe In) is directing from Nathan Parker's script, with Ridley Scott, Michael Schaefer, Ann Ruark, Jay Stern and Chip Diggins producing. No production schedule was given. Guy Pearce will next be seen in The Rover, which opens in limited release June 20.